I knew this movie would make some big money. This was no hard guess at all. Spiderman 1 to 3 (which could have been saved by some changes in the script), X-Men, Hulk and all the others movies/franchises managed to earn some money – most of the time big money. While The Incredible Hulk only gained some 130 Million, BATMAN BEGINS made 200 Million. So, my guess was something between 150 Million to 200 Million. Boy, I was sooo wrong! 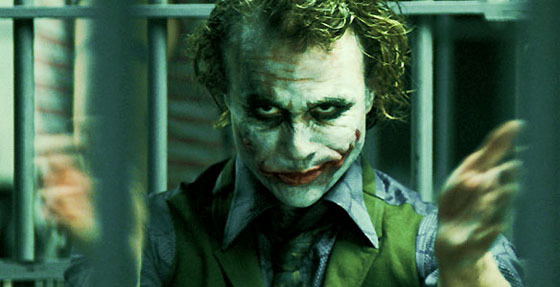 THE DARK KNIGHT managed to nuke everything that came before in terms of box office. On the opening weekend alone the movie made 158 Million Dollar! Wow. To understand this dimensions you have to compare this opening weekend with the one of BATMAN BEGINS which “only” made some 48 Million. The producers must be rolling on the floor of excitement and joy. But it is even getting better. When you take the percentage of weekend box office in relation to the whole gross you get for BATMAN BEGINS something about 24 percent. Ok. 24 percent is about one fifth. So, when you multiply the opning grosss of DARKN KNIGHT (158) by 5 you get a mind melting 790 Million Dollar. Even none of the Star Wars Episodes (*shiver*) didn’t achieve that. But whether or not THE DARK KNIGHT manages to reach that number will have to be seen. Perhaps this one might stunble and get in the realms of the Hulk franchise in which both opening weekends accounted for round about 50 percent. But you know what? I don’t really think this will happen because the second, in my eyes much more mind blowing thing, comes into play: IMDB. You know, as a good movie geek the first thing I did after reading those numbers was to go to IMDB and check the ratings of this behemoth as this is a good indicator for how worthwhile a movie really is. Again, I predicted something fairly high, something between 7.5 and 8.5 which is really good in terms of IMDB. And you know what? This movie, as of 22 July, has a rating of 9.5! With this number, DARK KNIGHT already took the crown on the site. It went past Star Wars, past Seven Samurai, past Matrix, past Scorsese, simply put past everything. It is, for now, the best movie ever made. At least according to IMDB. And with this number it means that this movie will get a perfect word of mouth because every geek loved it which could mean, that the droves will continue. 158 Million and 9.5. Mind blowing. Truly mind blowing. And I have to wait til 21 August.